Dual function kitchen faucet that can be installed on your kitchen sink and used to run water from a filtered source and/or two separate sources. The Nola Single Lever Commercial Style Faucet has a sleek silhouette that suits any kitchen dicor. The high-arch open-coil design and ergonomic dual-function sprayhead create a professional look with maximum visual impact. 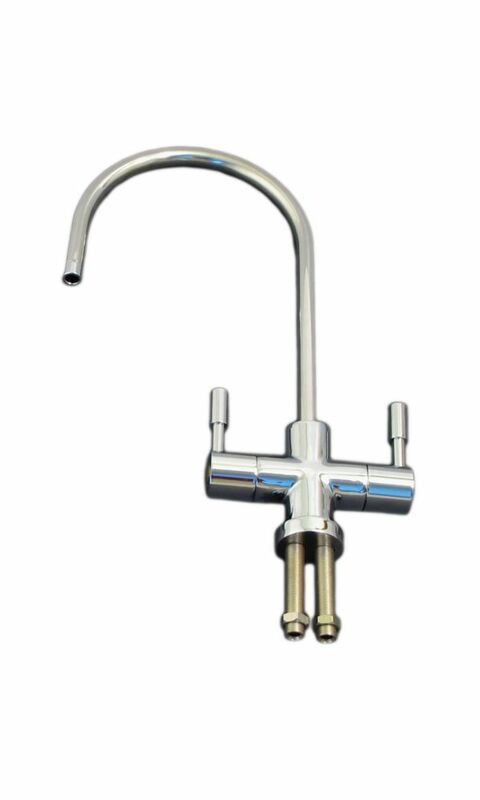 This faucet is made with top-quality components in order to ensure superior performance and durability. For easy installation, mounting hardware and an optional deck plate are included. Gracious and uncomplicated style features give the Manor collection an ageless yet fashion-forward presence. Tailored yet relaxed, the Manor collection is an exercise in design balance. This lustrous collection works seamlessly with today's lifestyles. This 4 in. 2-Handle High Arc Bathroom Faucet in Chrome is an easy and affordable way to update the look of your bath. Its simple design complements a variety of design styles. You can buy with confidence, knowing that Peerless backs this faucet with a lifetime limited warranty. Dual Function Kitchen Faucet in Chrome Dual function kitchen faucet that can be installed on your kitchen sink and used to run water from a filtered source and/or two separate sources.